Unfortunately, few people listen to the SOS signals of their hair. The disappearance of shine and elasticity, split ends, dandruff on clothes and hair on the pillow in the morning, increased fat or dry, itchy scalp erroneously are only considered as reason to change hygiene. Meanwhile, hair is in need of intensive care. 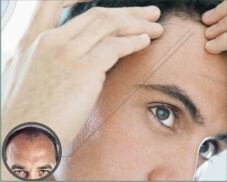 It is proved that the person is able to visually observe a threat only after having lost15% of hair. Hair diseases may indicate disorders in the activity of the endocrine system, gastrointestinal tract (because of which vitamins, amino acids, trace minerals are poorly absorbed), as well as blood supply disorderofthe scalp. Lifelessness of hair can be caused by taking certain medications or as a result of infectious and viral diseases, sometimes hair defects are inherited. Hair condition isinfluenced on also by external factors, such as bad environment, nervous disorders, some types of scalp improper care. There can be so many reasons for disease thatone can find out the real reason only by consulting the doctor. Diagnosis, treatment, recovery and preservation of the health and beauty of your hair is his specialty. How is trichology treatment executed in Avanta clinic? Initially, the doctor finds out the main complaints and existing diseases, concerns about the patient’s diet, genetic predisposition to a number of diseases, reveals exposure to stress. After preliminary discussion an external examination of the hair and head skin is carried out, then microvideodiagnostic is held – a modern technology of computer diagnostics of the hairy part of head. One of the main advantages of this method is visibility. A specialist in virtual mode may show you all the problems and peculiarities of hair growth, you will have the opportunity to evaluate with your own eyes what was hair like before the treatment,during the healing process and at the end of the therapy. Using a special microscope and a web camera connected to the computer, the physician receives the image of hair and head skin magnified 200 times. This powerful zoom allows to make automatically count of the number of hairs per 1 sq cm in the frontal, parietal, temporal and occipital areas, and compare with the norm for every type of hair (blondes, brunettes, redheads, brown haired). A determination of the mass fraction of the hair with respect to all the hairy part of head cover serves as a criterion for the diagnosis of various types of hair loss (alopecia) – one of the most common problems of our time. Under the microscope one can clearly see the condition of the hair, the patient’s skin type-dry, oily, exhausted, prone to seborrhea, and so on – is easily estimated. One can examine the bulbs, to assess the condition of the hair follicle, to reveal the empty, but the living follicles, from which with proper treatment even new haircangrow. The dynamic control of the hair growth is easily carried out.